Two weeks ago, an article appeared in Politico which asked what seemed to be a simple question. Jennifer Mendelsohn, the author, wondered in the title, “How would Trump’s immigration crackdown have affected his own team?” Mendelsohn was trying to undermine arguments made in support of the President’s relatively restrictive immigration policy by painting its supporters as hypocrites. She wondered, how can White House advisor Stephen Miller support tougher immigration standards when his grandmother came to America without learning to speak English? Put another way: if someone is an American because of their or their family’s immigration, and if similar acts of immigration attempted in the future would be stopped by Trump’s proposed agenda, then that person cannot support Trump’s plan. This argument is tempting and convenient. As a result, Mendelsohn’s article has garnered significant attention, and much of it positive: it was described glowingly on CNN.com; she created an active hashtag and had tens of thousands of retweets herself; and she was invited on TV to promote her argument. On closer examination, though, it suffers from three flaws—one historical, one logical, and one philosophical—each of which are fatal. The first issue with Mendelsohn’s argument is that it is ahistorical. Put simply, she does not consider the possibility that America had different needs in the past than it does in the present. One does not need to have an advanced degree in history or economics to understand why the America of the middle 19th or early 20th centuries might benefit from different immigration strategies than America would today. In the past, America had labor or territorial needs that warranted its immigration policy; this is not necessarily the case today. Of course, this argument is not a defense of Trump’s plan. Rather, it is only an argument against Mendelsohn’s, which fails to address the fact that historical conditions have changed dramatically. Just because, say, Stephen Miller’s family came here in a particular way doesn’t mean that means of immigration would best serve America today. Even if people accept Mendelsohn’s historical oversights, her argument suffers from a logical problem, too: its ad hominem fallacy. An ad hominem fallacy is when an argument is attacked not on the soundness of its premises or the validity of its conclusion, but on some attribute of the person making it. For example, Don tells Chuck that lying is wrong because it mistreats the person who is lied to, and Chuck responds that Don is a habitual liar. Sure, Chuck has shown us that Don is a hypocrite, but nothing else. With regards to immigration, one’s heritage has no bearing on the claim that, say, chain migration is no longer a prudent policy. The truth or falsehood of that claim exists independent of the person making it. While one might expect someone who came here through family migration to be more sensitive about the issue, there’s no logical requirement that they be. Finally, a philosophical problem. Recall Mendelsohn’s argument: because one is the descendant of an immigrant, one must affirm the policies which made the relevant act of immigration possible. Essentially, what this argument says is that because one likes something, he must affirm all the actions and conditions that made it possible. For example, if I like that I won a race, I must affirm all the conditions that lead to my victory. These include both conditions that applied to myself, such as my ability and willingness to train, and to my opponents, like their hesitancy to train, or even an inability to do so (perhaps because of an injury). So, when I celebrate my win, am I also, in some sense, celebrating the injury that kept my opponent from performing optimally? Does thinking that something is good require one to approve of everything that came before and lead up to it? In the case of immigration: does the simple act of affirming one’s life and citizenship commit him to complex webs of policy and history? These are not questions to be taken lightly, and they do not have obvious or easy answers. They deserve better than to be unvoiced assumptions in what is essentially an attempt to embarrass people out of one of America’s most important debates. To assert that the acceptable range of opinions is constrained by the actions of ancestors long dead, without even gesturing at the deeper issues involved in that claim, belies a lack of seriousness and thoughtfulness. As you may have noticed, I have not argued for or against chain migration, a border wall, or any of the immigration buzz words circulating in the news and on the internet. That is because I find the questions they involve to be complicated. Like most Americans, I am on the lookout for salient facts and good arguments about how many people should be allowed into America every year and what’s the best mechanism for letting them in. Sadly, there don’t appear to be many arguments out there that really help people think through such a complex issue. Mendelsohn deserves some credit. 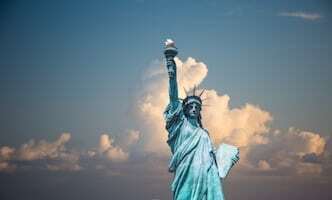 She alerted us to something genuinely interesting, namely the irony that the descendants of immigrants are championing policies that would have made it harder or impossible for their ancestors to come to America. But this irony in no way requires one to support a certain set of policies. I bring this irony up because it reminds us about how times and conditions change, and how so much of life is contingent. It speaks to the need to make sensitive and informed arguments. But this is not what we got from Mendelsohn. She tried to delegitimize those who disagreed with her, contributing to an increasingly shallow political discourse at a time when America so much needs the opposite. Isaac Inkeles is an Editorial Assistant at Mosaic Magazine. The views stated here are entirely his own. You can follow him on Twitter at @isaacinkeles.